Will Brazil Withdraw from BRICS? Anya Parampil reports on what the election of Brazil’s incoming president, Jair Bolsonaro, could mean for the international economy, particularly the BRICS organization. 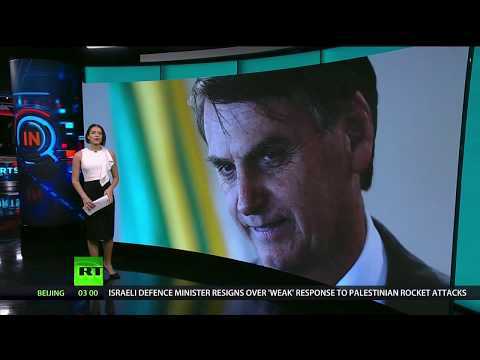 Anya explains that Bolsonaro is poised to realign with the United States and has already appointed a pupil of University of Chicago economist Milton Friedman, Paulo Guedes, to serve as Economy Minister. Anya talks to Vijay Prashad, Director of the Tricontinental Institute for Social Research, about the impact Bolsonaro’s leadership will have on BRICS and the Brazilian public.